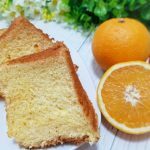 We always love Chiffon Cake! So soft and fluffy! It is also Little Travis's Favourite. Check out my mum's recipe and bake it for your family. Teochew Braised Duck has been well-loved by my family. Especially my mum is a Teochew and she learned how to cook Braised Duck from my grandma as well. A recipe passed down from generations. 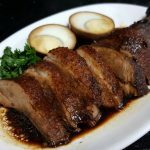 This is the latest recipe for my mum's Homemade Teochew Braised Duck. This is my first time I made FRUIT PUFF PASTRY! I have used frozen pastry sheet to reduce time and effort. Surprisingly, it is pretty easy and successful. My family love it! 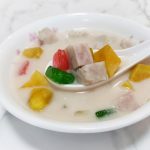 This is my first time cooking Bo Bo Cha Cha dessert. Surprisingly, it is not as difficult as I thought and I feel it is more delicious than some of the ones I bought outside. What I like about home cooked meals is you get to customised it to your preference. How sweet you like. How much of the ingredients you like. Like I prefer Taro more I add more Taro. It is great dessert to end a beautiful family meal. 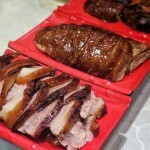 TungLok XiHe Peking Duck (Orchard Central) ~ It was my 2 good friends' birthday celebration. We ponder on the location for some time. Finally TungLok XiHe Peking Duck (Orchard Central) is the one! I have never try it before. Always excited to try a new place. Looking forward to Peking Duck! One of my many favourite dishes. 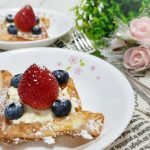 My first recipe post is launched! Although I blogged a lot about dining places, I actually love home-cooked food very much too. However, our busy hectic working life hardly permits this. 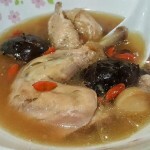 I thought of sharing this Quick and Simple Chicken Soup recipe for 2 Adults. Just having this chicken soup, we are already full. Simple. Just need to cook 1 dish and a nutritious homecooked dinner for 2 is ready.